If you are struggling for Christmas gift ideas, then Bond Imaging has the answer for you. We have a fantastic range of gift ideas ideal for family and friends. With great gifts starting from as little as $12.20 you can be guaranteed to find something extra special for your loved ones this Christmas. An interesting artical posted on Jeff Revells website makes for an intersting read. I was conducting my daily website scan when I saw an article on a new shutter count app that is now available for most Canon digital cameras [credit CanonRumors]. If you aren’t sure what a shutter count is, it is basically a numerical representation of how many times your camera’s shutter has actuated (opened and closed). So what’s the big deal about shutter counts? Well, if you aren’t planning on selling or buying a camera, probably nothing. Most SLR cameras have a shutter count estimate from the manufacturer for the number of reliable shutter actuations you can expect for your camera. Metal Prints are a premium product ideal for displaying your favourite images. Metal Prints take on a magical luminescence because the image is infused ‘into’ the surface and not onto it, the archival qualities of this unique process are unparalleled. Metal Prints are available in a high-gloss or a matte finish. The Festive Season is just around the corner. To ensure your orders are completed on time please be aware of our trading hours over this period. In order to assist with production planning, please note the Xmas 2014-2015 Cut off dates. All work must be submitted to our customer service team for the following services by the specified dates/times to ensure your completed orders are returned to you prior Wednesday 24th December. Jerry Ghionis is a Melbourne photographer, now based in the U.S, and one of the top five wedding photographers in the world. He now spends most of his time teaching workshop or on speaking engagements. If you have a spare 2 hours the above video (a class he recorded for B&H) is well worth the time. He explains the methods and process he uses for lighting his subjects. Using everything from window light, to candlelight, to on camera flash and everything in between with some amazing results. As well as lighting techniques there is also plenty of posing tips and some fantastic uses of very ordinary environments/backgrounds you usually try to avoid. It seems some photographs are fetching prices we’re used to seeing for famous works of art. As with art, the image can be subjective and the appeal in the eyes of the viewer. But would you be willing to hand over millions of dollars to own one of these photographs? 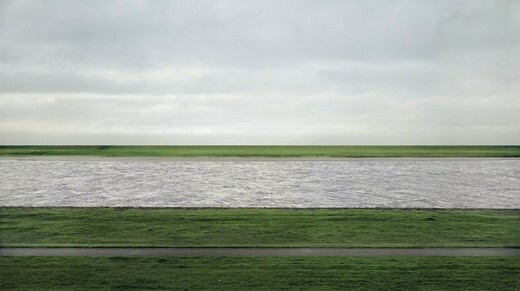 Following is a list of the 10 most expensive photographs ever sold.